Really, I hate giving bad reviews. If we don't have anything good to say, we might as well not say anything at all right? But what i believe in more is the power of information. That if given the chance to learn something from others, we will avoid the same mistake. On that note, it is quite obvious that this review is not entirely on the good side. 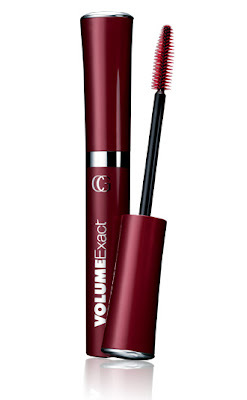 I purchased my CoverGirl VolumeExact Mascara for more than a month now. Since that day, i've been using it more often than my other mascaras to clearly give a just and concise review about it. So, there you have it! I hope i was able to help you out! Question Corner: GALE, the Highlighting pen from TBS in my opinion is not enough to address dark under eyes (mine is just baggy so i wouldn't know). but it does reduce the look of sleepless night. :) I still use my concealer. I use the highlighting pen after i've applied my foundation.